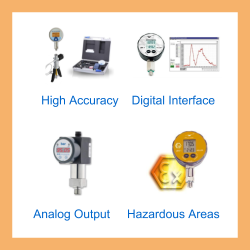 Combined digital vacuum gauge and 0 to 10 volts analogue output for measuring from 0 to -30 inHg gauge pressure. This version of the DS200 externally powered pressure gauge transducer has an LED digital indicator for displaying the vacuum readings from 0 to -30 inches of mercury column, and a 0 to 10 volts output signal to send to other instrumentation for control or monitoring purposes. 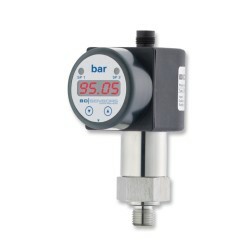 30 inHg negative gauge means that the device will measure 0 inHg when the measurement port is vented to ambient air pressure, and the reading will decrease from there as the vacuum is increased. Please complete form below to request a quote for Negative 30 inHg vacuum gauge with 0-10V output. Send us your enquiry for Negative 30 inHg vacuum gauge with 0-10V output to get assistance with this product type.